Welcome to my level thread! Here you can download all my levels. Please be sure to give feedback! SPECIAL THANKS TO RALPH FOR LETTING ME USE HIS SKYBOXES! The third season of levels of mine you can download here. DOWNLOAD THE CURRENT "REVOLUTION" LEVELS IN THE SPOILER BELOW! Bubblegum Blitz - Speed through this little pink level and try to score the best time! The Jungle - Find the fastest path through The Jungle! Anvil Skill Course - Use the Anvil in complicated ways. Teleport and Transport - Solve puzzles using both the Teleporter and the Transporter. Telefun - Speed through the holes! Flood! - The room is flooding! You need to escape as fast as possible, or you'll drown! Overcomplication - Perform complicated tasks to unlock simple things. The second season of levels of mine you can download here. Out of all the levels, I think this one is the most replayable. It has many possible routes to take and there are Time Travels hidden everywhere. 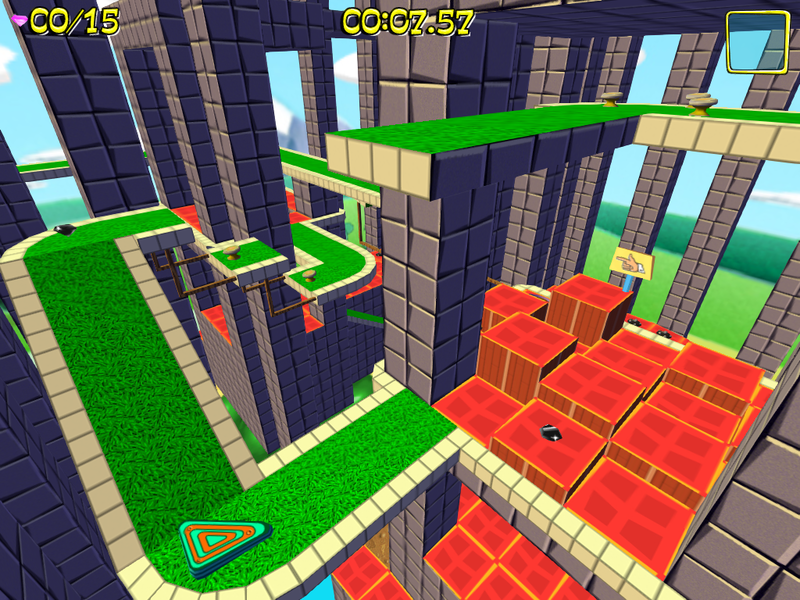 This level was designed poorly in the way that it is confusing and sometimes you don't know where to go. As well as the tube at the end that's very buggy, this level isn't recommended. DOWNLOAD THE WHOLE PACK WITH THE LINK BELOW! 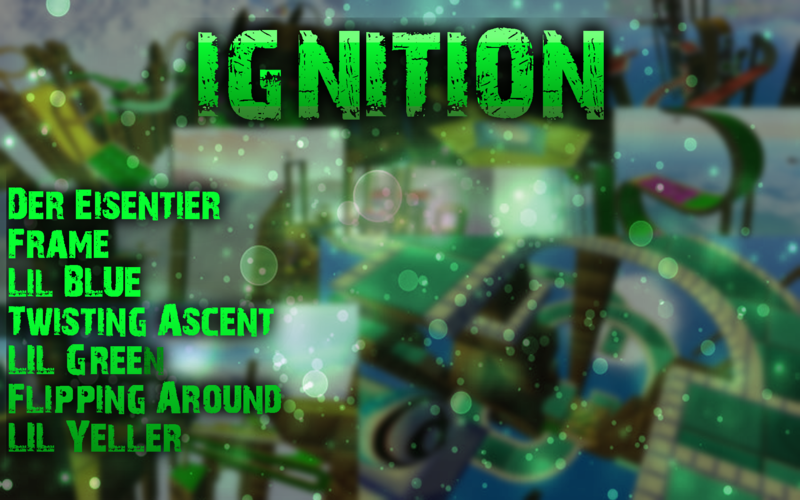 DOWNLOAD ALL THE "IGNITION" LEVELS BELOW! Lil' Yeller - Third lLil' Color level in the series. Have fun finding the fastest and most fun path. Flipping Around - Speed around the curves while being flipped upside down. 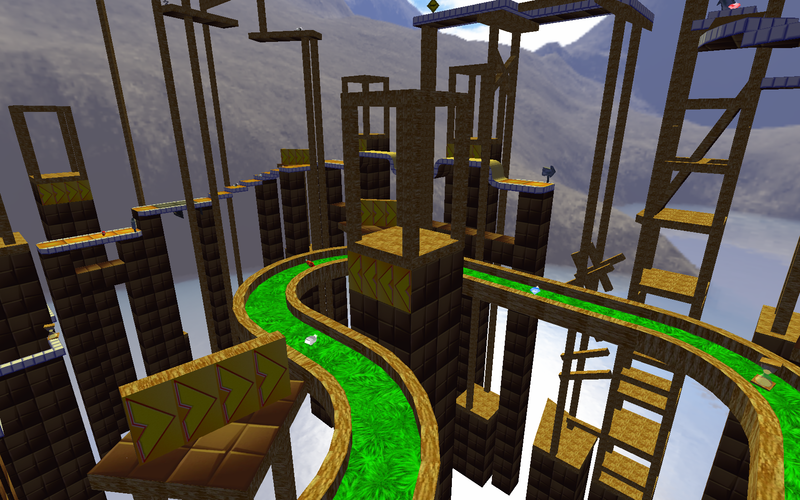 Lil' Green - In the sequel to Lil' Blue, Lil' Green offers a short and sweet style, designed with a smooth flow to the obstacles, and many shortcut opportunities. Twisting Ascent - The journey is long. Climb up this course, and have it both twist you around, and twist your mind. Frame - Ascend up the under construction obstacle course, but be sure to watch your step, as you are only on the frame! 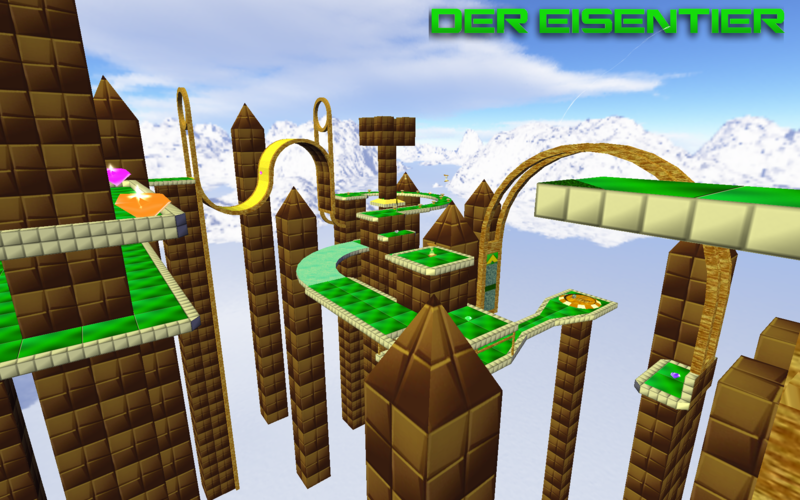 Der Eisentier - Take on the Iron Beast and try to freeze the clock in its tracks! Good Luck! The first season of levels of mine you can download here. Out of all the levels in this pack, I think Escalation is the best. Just because it's the best looking and it has some interesting challenges in it. 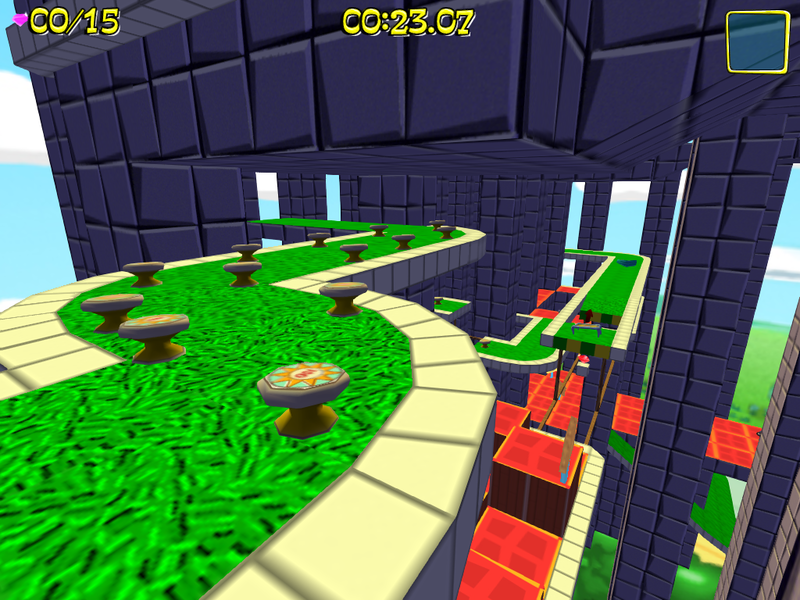 This level would've been great if I didn't add the circular tightrope part. 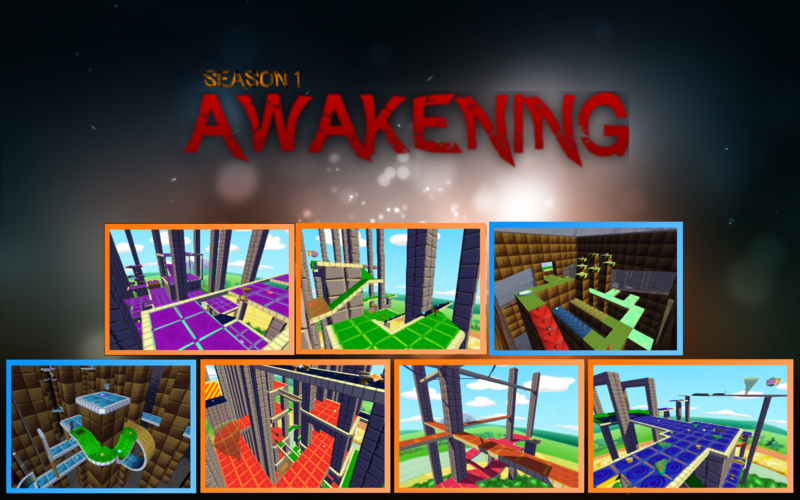 DOWNLOAD ALL THE "AWAKENING" LEVELS BELOW! Escalation - Battle your acrophobia as you take on the challenging challenges inside these towers! Speed and Bounce - Take full abuse of the two precious elements of this game: speed and bounce, to defeat the monster course! 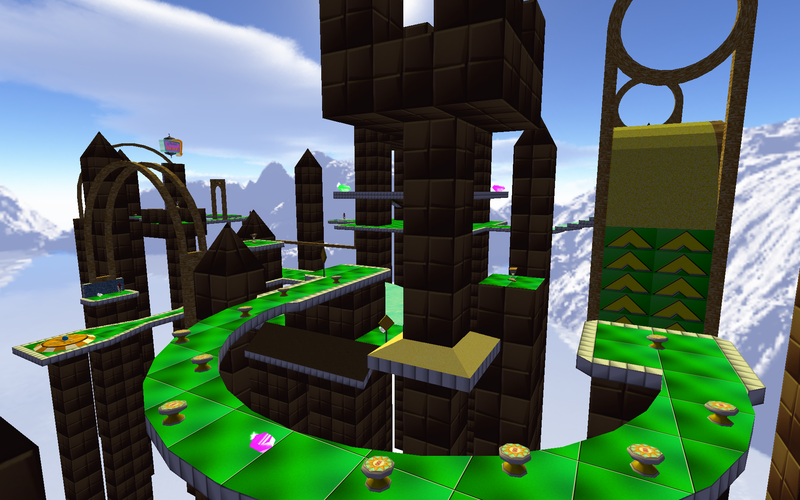 The Complex - Test your marbling skills by passing a series of buildings! May the best marble win. Nature Hike, Flying on Three Levels and Purple Playground - Take a nice green stroll, overcome your acrophobia and raid a purple playground! Download all 3 of these levels! Sky Blue - Witness the beauty of the color blue and climb the godly course to your prevail. Your destiny awaits! Levels created by me remastered into PQ. 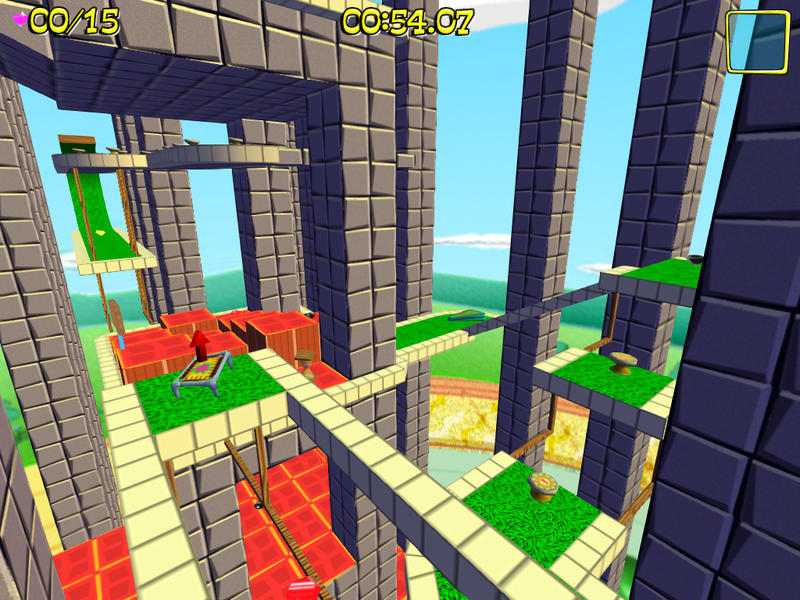 A series of short and sweet color levels that focus on pathfinding and shortcuts. 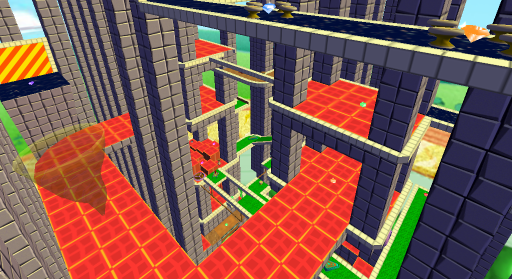 Lil' Red - This one is more of a playground/collection style rather than an obstacle course. Lil' Yeller - Platinum - Third level in the series. Have fun finding the fastest path. 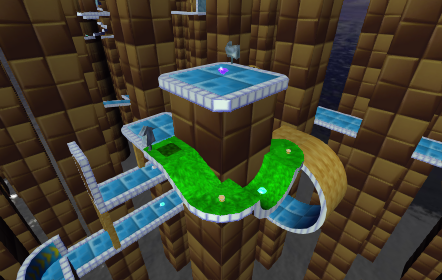 Lil' Green - Platinum - In the sequel to Lil' Blue, Lil' Green offers a short and sweet style, designed with a smooth flow to the obstacles, and many shortcut opportunities. Last edit: 16 Feb 2019 23:33 by Endy. For the time that we were on the Super team together, your levels certainly had the best level of gameplay. 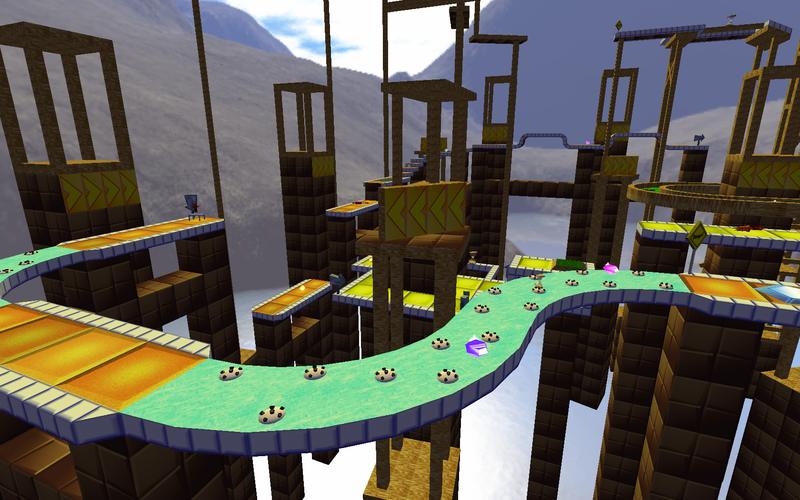 The two levels you made for Marble Blast Ultra that you made (Verde Climb and Hazardous Endurance) as well as the many levels you made for Marble Blast Super, I loved all of them, and I can't wait to play the levels you release here on the forums. Wow, these levels are much better than I thought they would be! I expected boring levels that are just all LE, but these are very nice. One tip: For the sides of sloped platforms, use the other edge texture. You can also use Threefolder's tutorial on how to make the edge texture align to the slope. Anyways, nice levels, looking forward to more levels from you! Thanks guys! I will make more custom levels. Maybe even some in MBP. I need to know how to make moving platforms though. Last edit: 28 Nov 2015 03:56 by Endy. New Level! Sky Blue has been released! New Level! Frictional Adventure has been released! New Level! The Complex has been released! I really do need people to give me feedback. SPEED AND BOUNCE HAS BEEN RELEASED! Download it from the top post! Last edit: 08 Dec 2015 02:54 by Endy. That level looks neat! It reminds me of Marble Mosaic! Oh gosh, didn't realize your levels were so beautiful! I haven't been playing many MBG or offline MBP custom levels lately. I gotta give these a try! Last edit: 10 Dec 2015 05:05 by Endy. As always, give me feedback so my future levels can be better! Last edit: 13 Dec 2015 00:31 by Endy. This looks a lot like Twin Towers. Did you change the name? 7zip right? If so, expect them to be here tomorrow or the day after. Just .zip. 7zip is not free. Alright, so I got .zip, but when I drag the folders into the zip it wont let me. I will look into this, but in the meantime I think you should get winrar (its free!) and dl my levels like that. It's truly incredible how you're a killer at level builing. Keep going and you'll maybe reach Threefolder's skill. Hey guys! Been a while, and I have teaser! Here is the first level of Season 2! Expect this level to be released later today or tomorrow! A NEW LEVEL HAS BEEN RELEASED! Download is on the TOP POST! Can you make a .zip download? You shouldn't need a program to do that, just an OS. Very very nice looking level! You've certainly improved from your last level. Really excited to play this level once I finish downloading this. Der Eisentier? Are you sure BO3's newest zombie map, "Der Eisendrache", didn't inspired you for the name? Otherwise, I played your level this morning with friends, and it was very fun. Keep up the nice job! Last edit: 18 Mar 2016 15:42 by Ralph. I will upload every other level if you would like. That was pretty sweet! I like what you did with the bouncy floor at the beginning. I would recommend putting season 1 in a single .zip file to make it easier for people to download. Thanks! 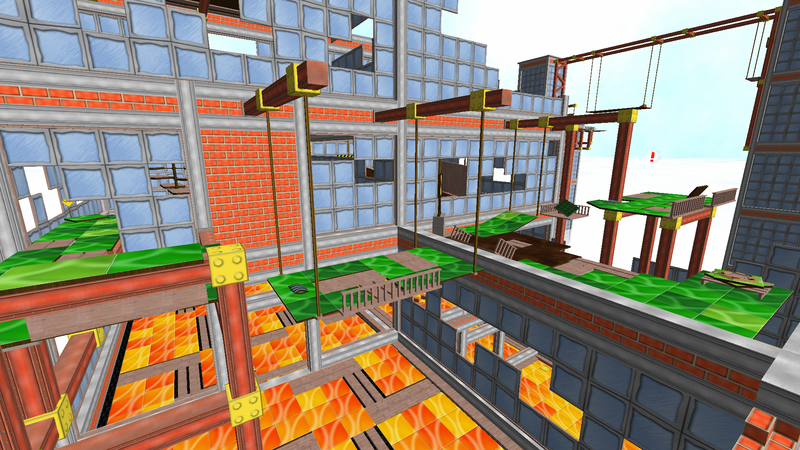 Here is a pic of my upcoming level, Frame.